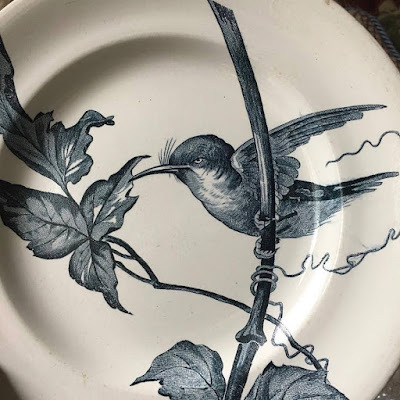 Detail of a hummingbird from an Aesthetic Movement pattern, ca. 1880. 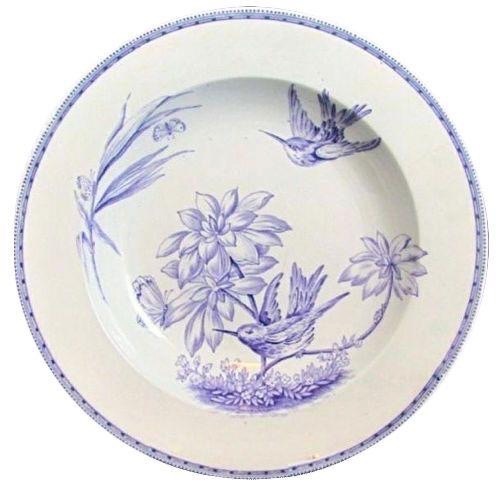 A hummingbird in my garden sent me to the database of the Transferware Collectors Club to see if there were patterns that featured hummingbirds. Male Allen's Hummingbird (I think). It is sitting on a rose in my garden. I didn't find a lot of patterns, and all of them were Aesthetic patterns from the late 19th century. 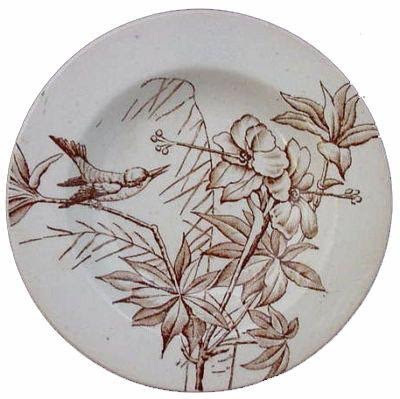 Maker Unknown 3.75 inch miniature plate from a child's dinner service, ca. 1880. 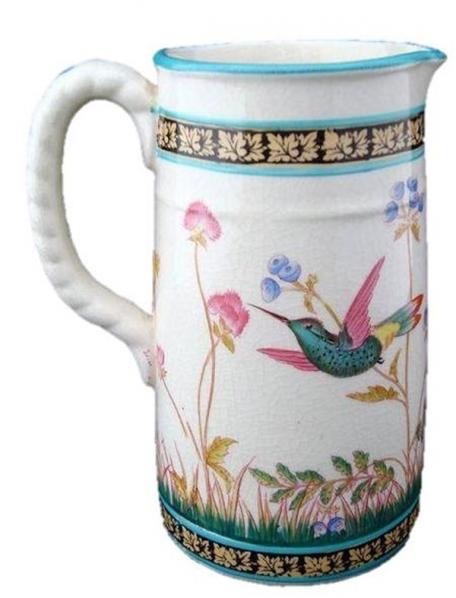 It shows a hummingbird and flowers. Maker Unknown 6.5 inch water pitcher with a pattern number of 8923, ca. 1880. It shows a hummingbird feeding from a flower. The other side is seen below. 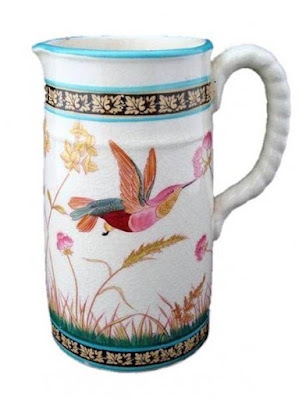 The pitcher is both printed and painted. Maker Unknown pitcher, pattern number 8923. It is the other side of the pitcher seen above. Maker Unknown plate with hummingbirds, ca. 1880. 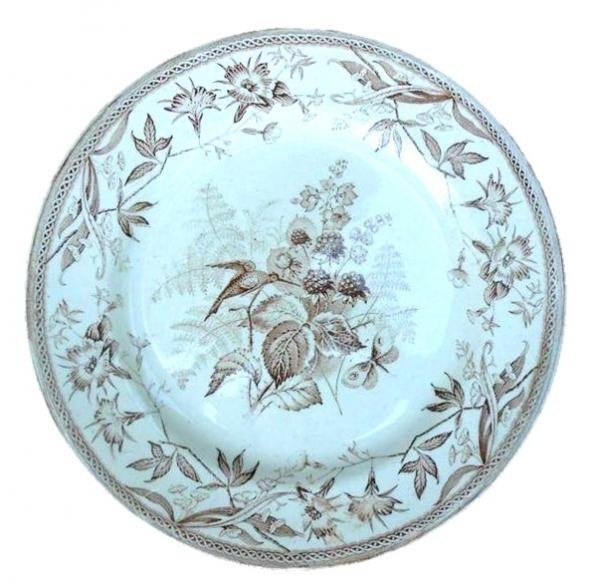 Samuel Moore & Co. (1803-1874) "Fern Leaves" 10 inch plate. There are both ferns and raspberry plants. There were a few more patterns in the database, but you get the point. The patterns were fairly similar. 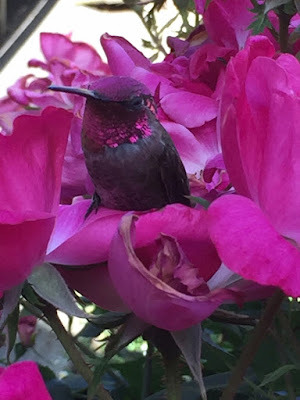 If you want to know what kind of camera was used to take the photo of the hummingbird, it was an iPhone. My husband took the photo.